Snow is a rarity in Maura Donovan's small village in County Cork, Ireland, so she wasn't sure what to expect when a major snowstorm rolled in around Sullivan's pub. But now she's stranded in a bar full of patrons—and a suspected killer in a long-ago murder. Maura's been in Ireland less than a year and hasn't heard about the decades-old unsolved crime that took place nearby, let alone the infamous suspect, Diane Caldwell. But the locals have, and they're not happy to be trapped with her. Diane, meanwhile, seeks to set the record straight, asserting her innocence after all this time. And since no one is going anywhere in the storm, Maura encourages Diane to share her side of the story, which she'd never had a chance to do in court. Over the next few hours, the informal court in Sullivan's reviews the facts and theories about the case—and comes to some surprising conclusions. But is it enough to convince the police to take a new look at an old case? 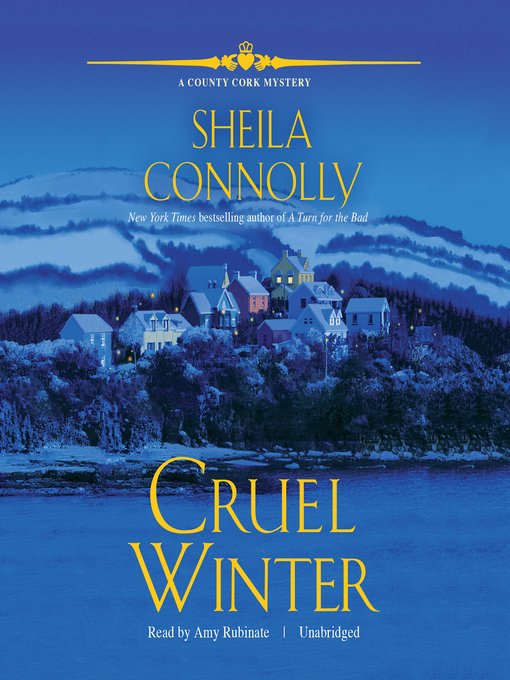 A clever spin on the classic locked-room mystery, Cruel Winter, the fifth in New York Times bestselling author Sheila Connolly's series, will delight fans of the Emerald Isle. 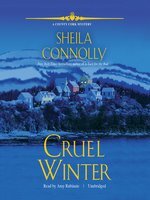 Sheila Connolly is a New York Times bestselling author and the Anthony and Agatha Award–nominated author of over thirty titles, including the Museum Mysteries, the Orchard Mysteries, and the County Cork Mysteries as well as a number of short stories in various anthologies. She lives in Massachusetts with her husband and three cats, and visits Ireland as often as she can.